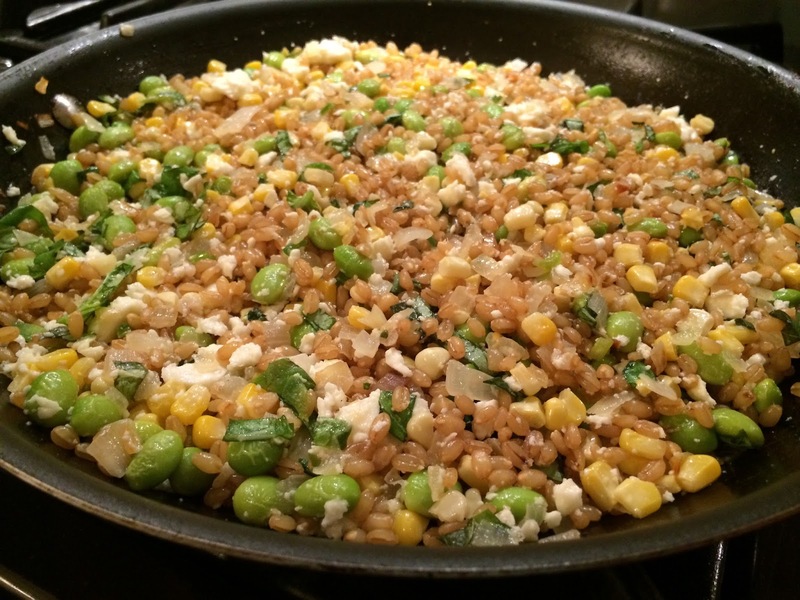 If wheat berries aren’t already in your regular rotation they will be after you give them a try in this simple sauté, they’re one of the best chews out there…and you know what they say about whole grains. Bring some salted water to a boil, add your wheat berries then simmer for 50 minutes and drain. You only need a half cup for this dish but you might as well throw in a whole cup as they’re great in soups and salads and last for a couple of weeks in the fridge. Sauté some shallot and garlic along with a box each of frozen corn and edamame. Once your veggies are cooked through add the wheat berries, chopped mint, crumbled feta, and salt and pepper to taste, then sauté another five minutes and serve.